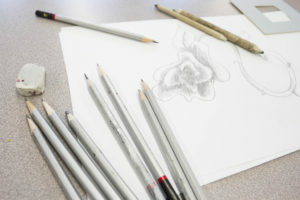 Learn the core elements of drawing and develop the tools needed to make beautiful and interesting drawings. Working with pen, pencil, and charcoal, participants will explore the building blocks of art and drawing from observation. Get the fundamentals down and use them to draw from life and photo references. Price includes all materials.